Starplan Fitted Kitchens & Fitted Bedrooms Showroom Portadown is a family owned business that has long been established in County Armagh. Our Portadown showroom has three storeys to explore with a wide range of Fitted Kitchens and Fitted Bedrooms Furniture on display. Choose from beautiful ranges including bespoke kitchens, made to measure fitted bedrooms and modern Sliding Wardrobes. Not to mention, our Portadown store is great if you’re looking for freestanding furniture and beds. 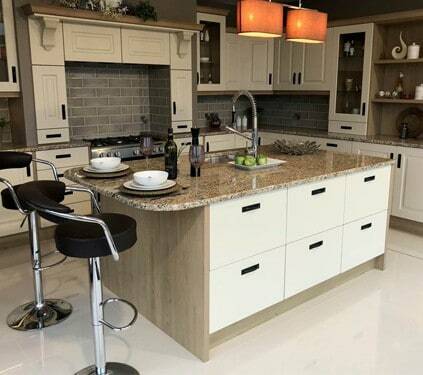 Our highly experienced team of Kitchen designers and fitters in Portadown will provide you with a personalised service. Starplan will assist in choosing your furniture, as well as aftercare advice. We design and create stunning kitchens and bedrooms of the best quality. Meaning you will have many years of enjoyment! 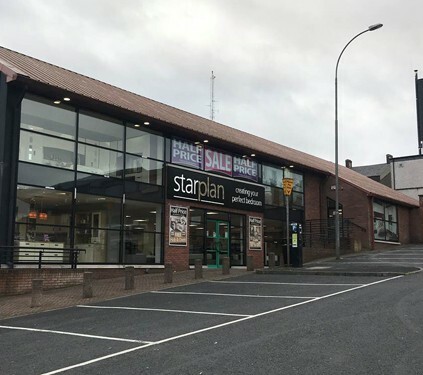 We take pride in our high level of service and customer satisfaction so when you visit the team in Starplan Kitchens & Bedrooms, Portadown you will not be disappointed. Looking for a Fitted Kitchen or Fitted Bedroom Installer? 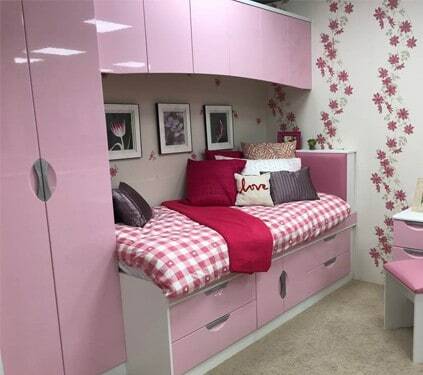 Starplan specialises in the best made to measure fitted furniture and sliding wardrobe. Notably, a company with 40 years spent in the industry. Our kitchen & bedroom designs will add a sense of style to any home renovation project. Additionally, all our bedroom & kitchen installations are fully project managed from the initial design to completion. Our aim with any fitted kitchens and fitted bedrooms installation in Portadown is to make the process as easy as possible and tailored to your individual style. That includes offering free designs, free delivery and free installation. Address: 42 Meadow Lane, Portadown, BT62 3NJ. Our Fitted Kitchens & Bedrooms showroom is the perfect place for gaining inspiration when you’re looking to install a new kitchen or bedroom. Come and view our range of displays and let the new kitchen or bedroom you dream of becoming a reality. Beautifully Designed with you in mind! Order no: NF 180748. Delighted with this work. We are delighted with our new sliderobes, fitted this week. They work perfectly in our space and glide smoothly and easily. Flawless service from start to finish. Thanks to Neville in the Portadown store for his friendly and helpful advice. The colours he suggested worked perfectly with our decor. Order no: NF 180748.